We have all faced moments when we have felt powerless to project the confidence and commanding presence a stressful situation demanded, whether for a job interview, a performance or presentation. Too often we have walked away from the situation wishing for a do over. 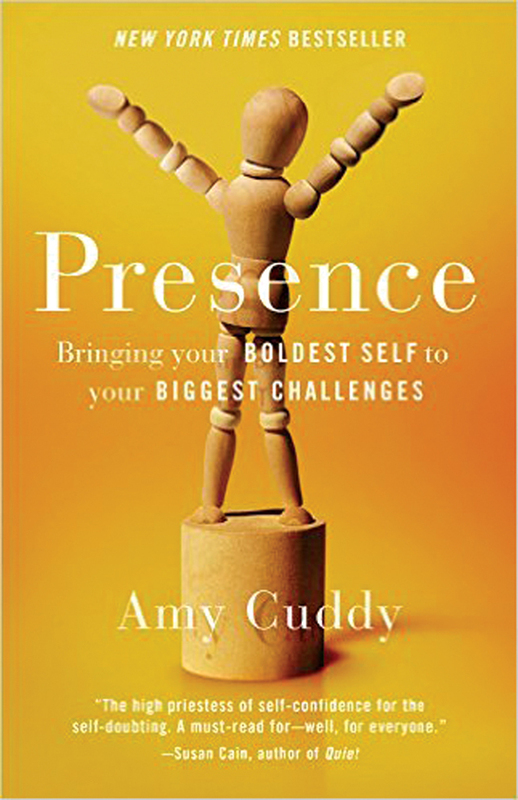 In Presence, Harvard professor Amy Cuddy instructs us in how we can access our personal power without the need to embark on a spiritual quest or complete an inner transformation to harness the power of “presence” within us. Instead, we just need to nudge ourselves, moment by moment, by tweaking our body language, behavior, and mind-set in our day-to-day lives. You may know Amy Cuddy from her TED talk about “power poses.” In Presence, she presents the enthralling science behind these and many other fascinating body-mind effects, and teaches us how to use simple techniques to liberate ourselves from fear in high-pressure moments, perform at our best, and connect with and empower others to do the same.